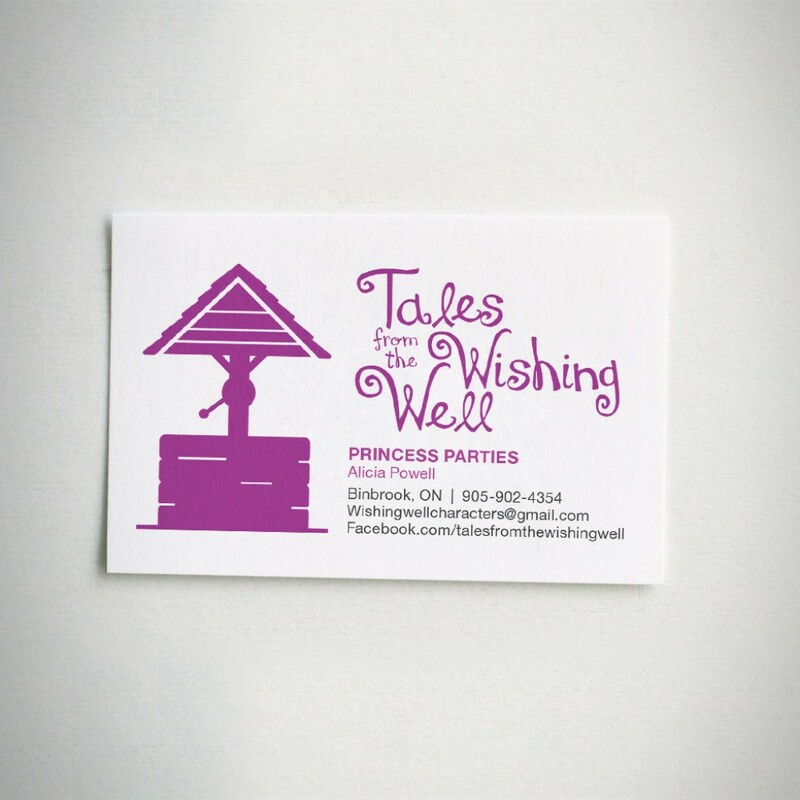 Logo for Tales from the Wishing Well, a character dress up service for parties. 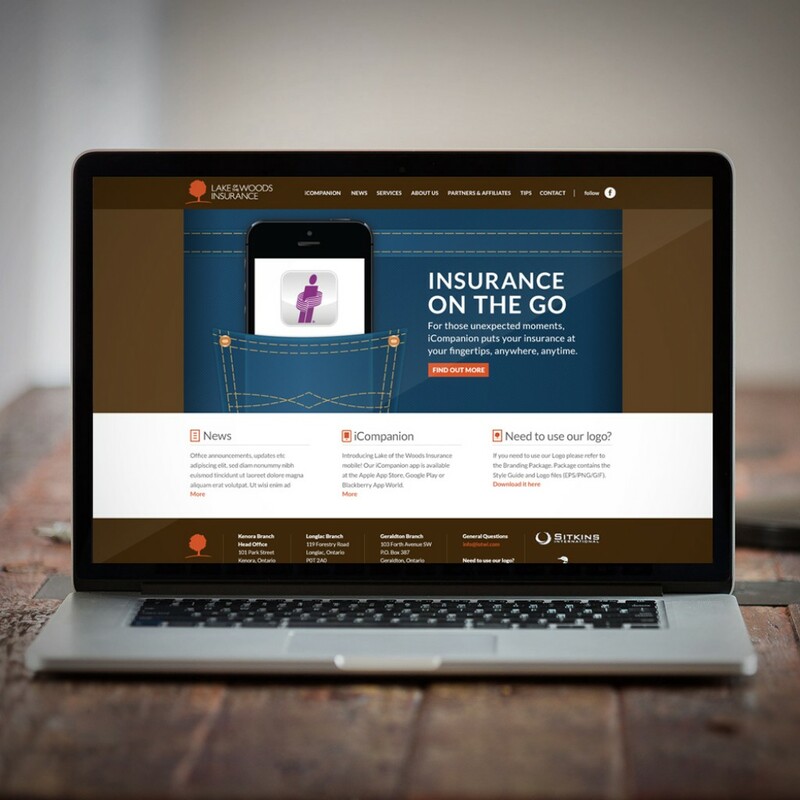 Logo for Lake of the Woods Insurance. While the first rendition had three trees, this simpler version features just one. 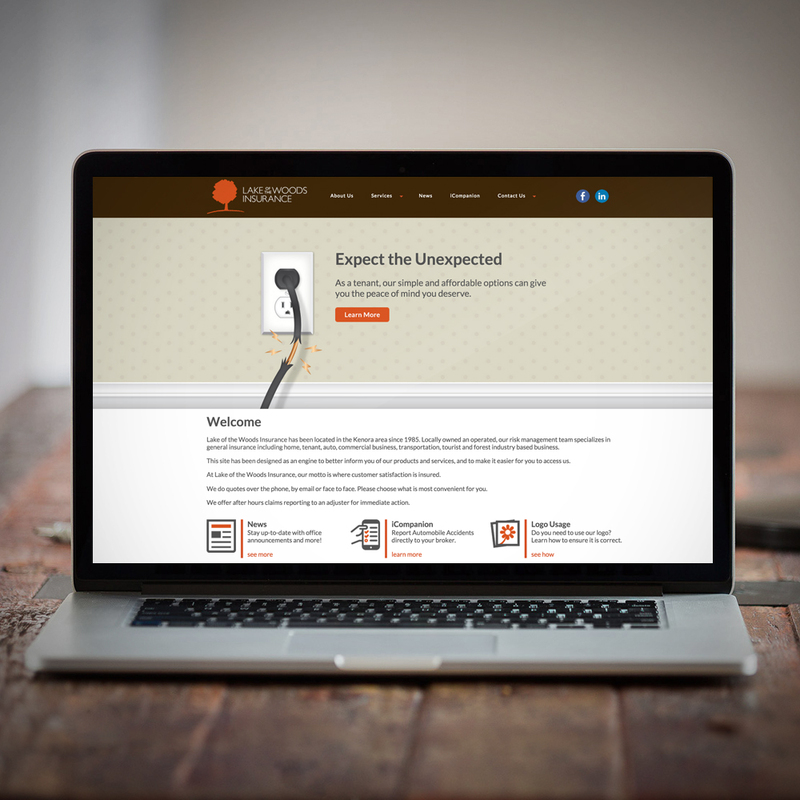 Logo for The Healing Path Chiropractic & Wellness Center. 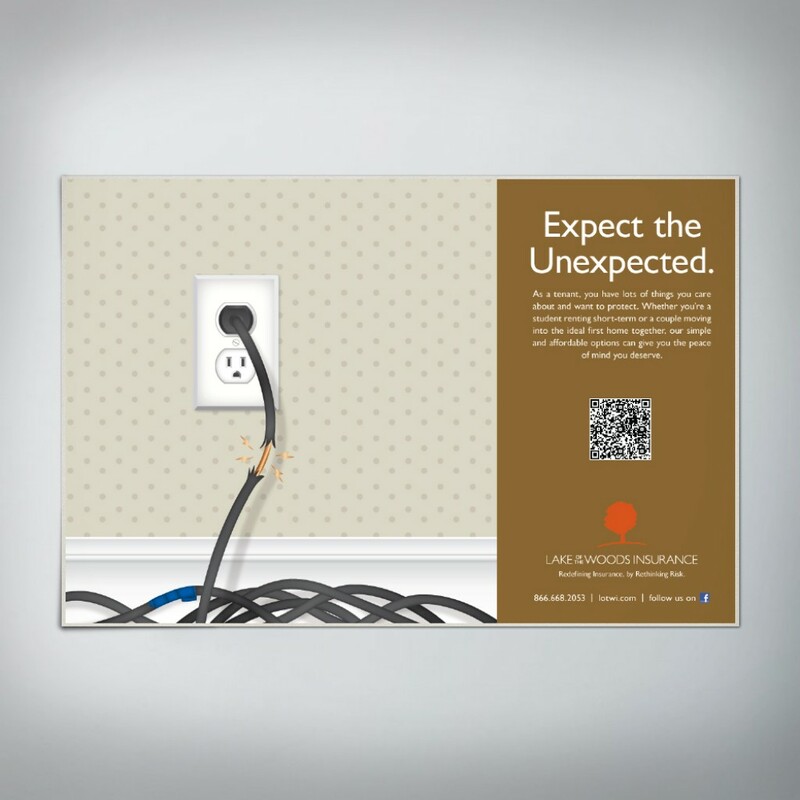 The Client asked for a symbol of peace and serenity in earthy tones. 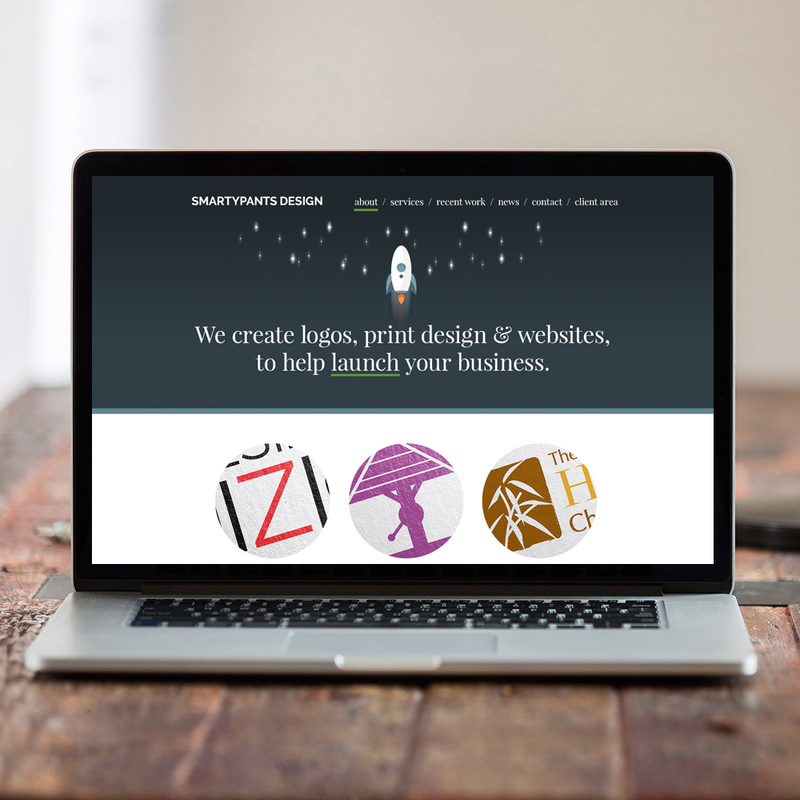 With regular traffic to the Lake of the Woods Insurance site, a site redesign was proposed. 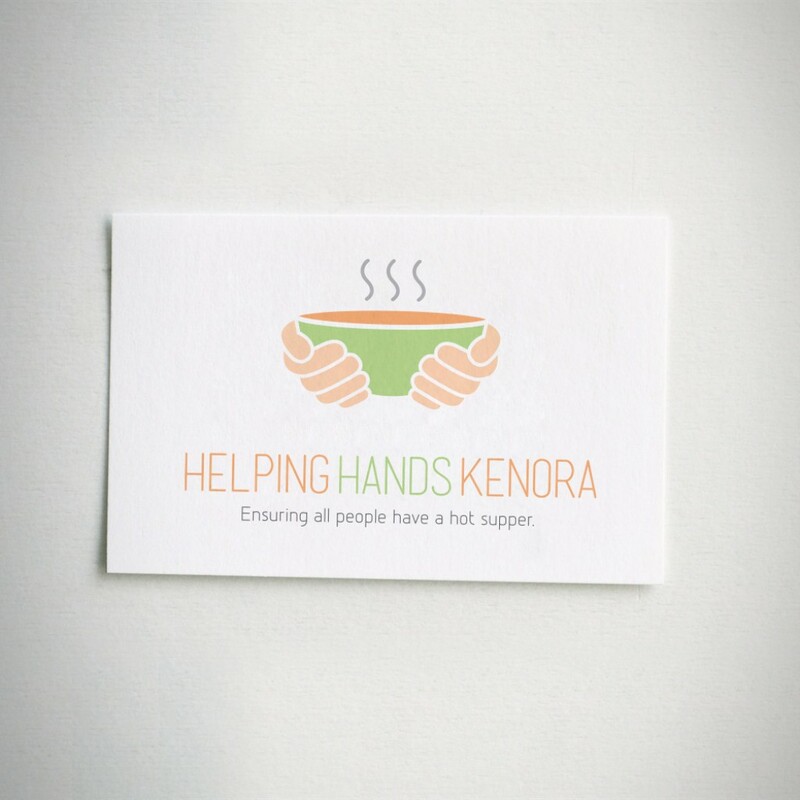 Business card concept for Helping Hands Kenora, a non-profit organization which serves hot meals to those in need. 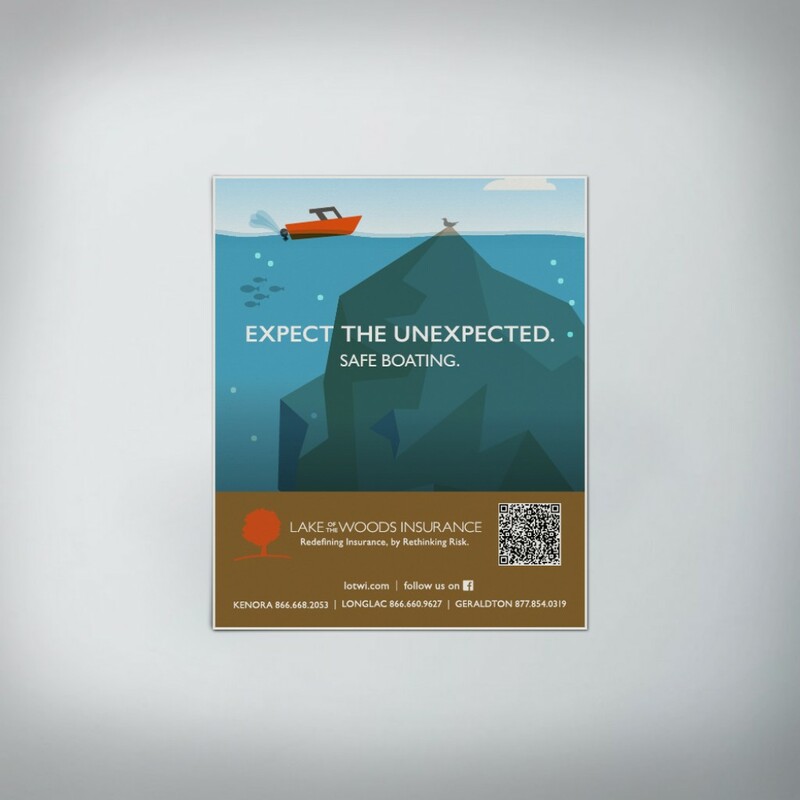 Bearskin Airline magazine ad promoting the new mobile application for Lake of the Woods Insurance. 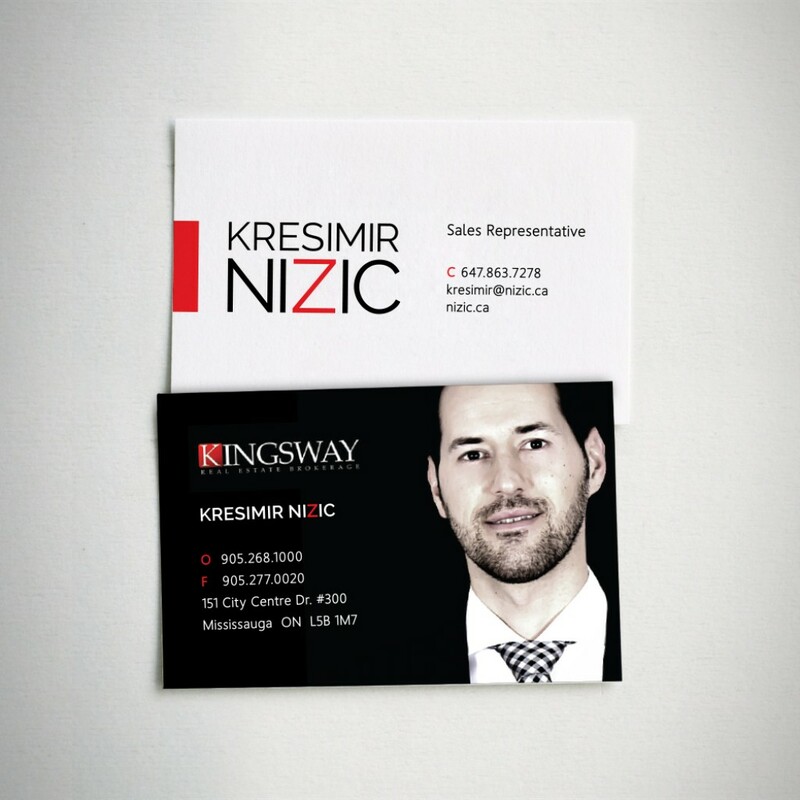 Business cards for Kresimir Nizic. 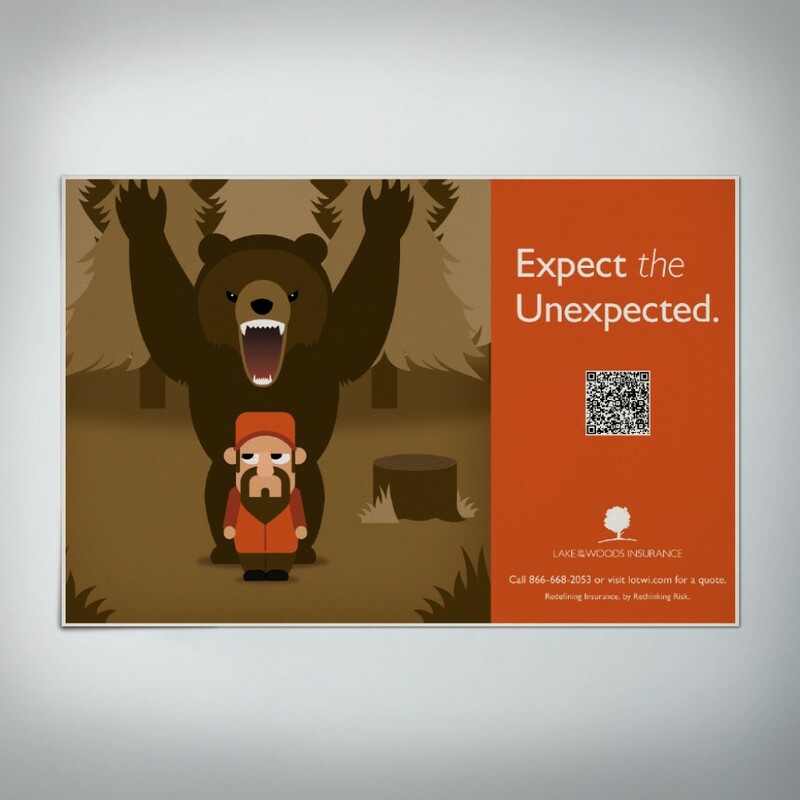 These bathroom stall ads for Lake of the Woods Insurance promote the hidden dangers to renting. 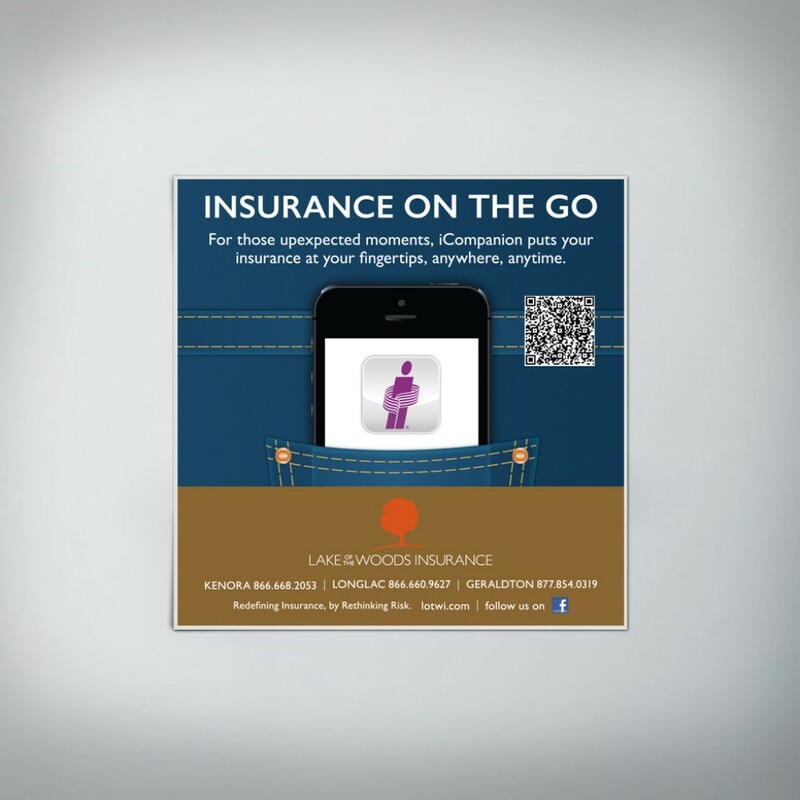 Bathroom stall ads promoting Lake of the Woods Insurance. 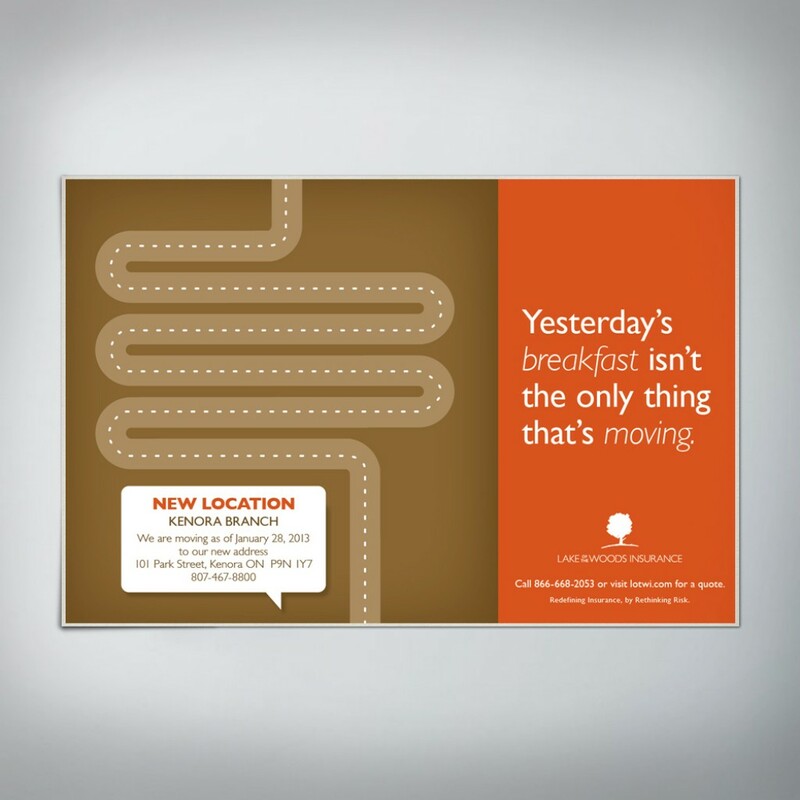 Bathroom stall ad for Lake of the Woods Insurance telling of an Office move. The pun was a hit.